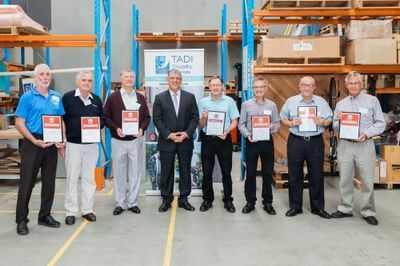 Minister John Ajaka visited TAD to launch the Premier&apos;s Volunteer Recognition Program presenting awards to some of our wonderful volunteers. 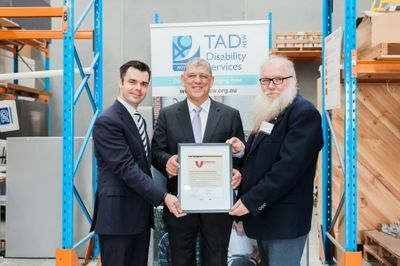 We were privileged to receive a visit at TAD from the Minister for Multiculturalism and Disabilities, The Hon. John Ajaka presenting the Premier’s Volunteer Recognition Awards to some of our well-deserved volunteers. In NSW, over 2 million individuals volunteer in their local community. The extraordinary work of all our volunteers is what enables us to keep changing the lives of people living with disabilities. Freedom Wheels rider Ollie was at TAD being assessed for his next bike. 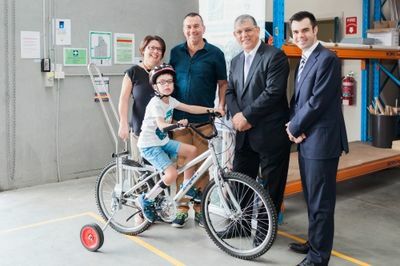 After a quick ride in the sun, Ollie was lucky enough to have a chat with Minister Ajaka letting him know how excited he was about his new Freedom Wheels bike. 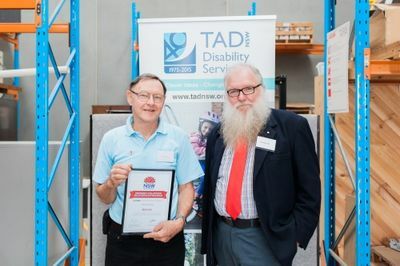 After a morning tea and a wonderful awards ceremony TAD CEO Danny Kapustin and board member Bill Phippen OAM were presented with a Statement of Principles for the recognition of volunteers. TAD has chosen to implement these principles in our practice for volunteer management.